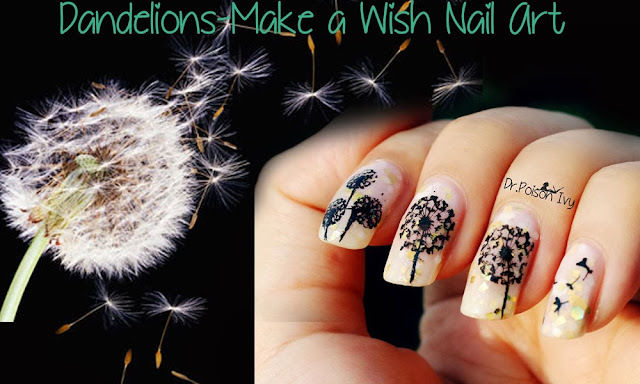 As a girl growing up in north east India surrounded by Greens i've always loved dandelions. One gentle breeze and it disperses into tiny angelic seeds going where the wind takes them. Ah, if life was as simple as that. A dandelion for each one of you. GO AHEAD MAKE A WISH. Ahh these are lovely, so pretty, and the base polish is perfect! I loved it! its so different! This is so gorgeous I love it! Love the nail art. #BSP and kuddos to your efforts for making all the bloggers more interactive! Its so beautiful !! I have always been a fan of your nail arts ... always neat ! already following :) #BSP #OurExternalWorld - what base polish did you use? This is just incredible. Did you make the base coat yourself then? hope our wishes & dreams come true :) have you applied for AIIMS?? I might skip!